When you think of a safari, you’re probably thinking lions, cheetahs, giraffes, safari outfits – oh my! But more than just seeing animals, a safari is a total immersion into the African bush. From the sense of freedom you get in the wilderness, to the rush of seeing one of the Big Five, to the blaze of stars overhead in the dark of the night, and the hyena calls at dawn. With so many national parks and reserves to choose from (you’ll need a checklist! ), it can be daunting to embark on the planning, much less the journey! 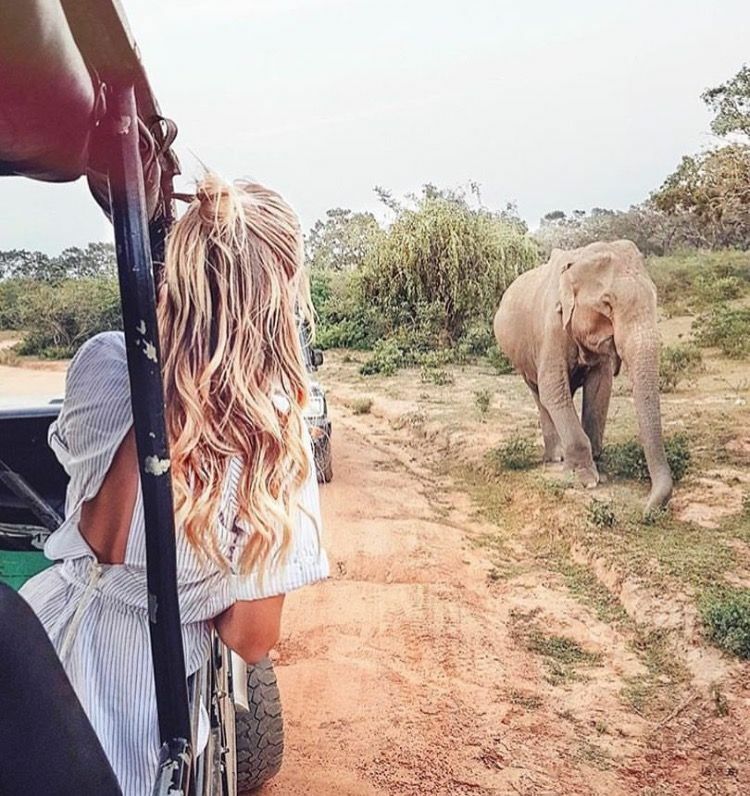 To help you get the most out of your safari experience and make it one that you’ll keep thinking about for years to come, Avery of The Luxe Nomad has curated for you, in no particular order, her top five safari experiences – and the tips that you need to make it happen. Located in perhaps the most famous and well-known of all of Africa’s parks, Singita Lebombo Lodge is the easiest to get to from Hong Kong, if you ask us. Set above the N’Wanetsi River and illuminated by natural light filtering in through the windows, this modern and contemporary lodge has 13-suites and one villa for a completely luxurious safari adventure. As the lodge is set on a privately-leased borderless concession, guests will experience an unrivalled sense of privacy, exclusivity and an intimate connection to the surrounding lands and the plentiful game. To get to the Singita Lebombo Lodge, first fly from Hong Kong International Airport to O. R. Tambo International Airport which will take you approximately 13 hours via Cathay Pacific. From Johannesburg, fly to the airstrip nearest the lodge – the Satara airstrip, via private charter plane or Federal Airlines, which will take you approximately 1 hour and 30 minutes. At the Satara airstrip, you are greeted by the Singita staff and transported to the lodge, located 45-minutes away, in a closed, air-conditioned vehicle for maximum comfort. When in Africa, particularly Kruger National Park which boasts more species of large mammals than any other game reserve, the Big 5 are hard to miss. Keep your eyes peeled to spot the African buffalo, elephant, leopard, lion and rhino – don’t forget to blink. Iconic and forming the background of African safari documentaries, the flora that grows in the Kruger National Park also is important to the African communities and animals. Armed with your checklist, spot these five significant trees: baobab tree, the fever tree (commonly used as a cure for malaria! ), knob thorn tree, marula tree and, mopane tree. When there’s a Big 5, you can bet that there’s also a Little 5. Tiny yet mighty, keep your eyes peeled for the buffalo weaver, elephant shrew, leopard tortoise, ant lion and rhino beetle. Being located in one of the largest national parks in South Africa, it is only apt that you take the vast space and challenge yourself to a mountain biking safari (of course you’ll be accompanied by experienced guides and trackers!). Not only is it a great workout, it brings you closer to your surroundings and allows you to truly immerse in the outdoors. Lying in a transition zone on the edges of the Kalahari Desert, Madikwe Game Reserve is home to the Super Seven which includes the Big 5 as well as the cheetah and wild dog and also boasts the second largest population of lions in South Africa. The Molori Safari Lodge is set at the heart of the game reserve, overlooking the Dwarsberg Mountains and the Madikwe Valley. With only five suites, guests can expect an unrivalled sense of privacy and intimacy with the African plains. Boasting an extraordinarily personalised service and a lush, natural surrounding that showcases an abundance of game, the lodge will make your vacation one to remember. First fly from Hong Kong International Airport to O. R. Tambo International Airport which will take you approximately 13 hours via Cathay Pacific. From O. R. Tambo International Airport, take an approximately one hour flight to the Madikwe airstrip via Federal Airlines. You will be met at the airstrip by the Molori staff who will transport you to the lodge located a short ten minute drive away. The African wild dogs make their home in the Madikwe Game Reserve and here’s a fun fact: no two African wild dogs have the same markings! Go on a wild dog tracking expedition to see how the pack operates and learn more about these endangered creatures. Guests staying at the lodge can take part in a rhino tagging experience in conjunction with the Madikwe Game Reserve. This once-in-a-lifetime conservation experience involves the notching, DNA sampling and micro chipping of the rhino’s horns. Other than wild dogs, Madikwe Game Reserve is also home to the rare and near-threatened brown hyena. Though not the most majestic looking of creatures, they are elusive and if you manage to spot one, it’s your lucky day! Open your senses to the wild and untouched environment as you walk through the bush, spotting not just the animals but learning about the plants that breathes life to the Madikwe Game Reserve. A guided safari walk gives you an entirely different perspective of the African safari, one that should not be missed. Situated on it’s own delta island on a private concession in the Okavango Delta and adjacent to the Moremi Game Reserve, the andBeyond Xaranna Okavango Delta Camp is enchanting and steeped in luxury with only nine private, en-suite tents. Depending on the season, you will be able to float along the intricate channels of the delta and even enjoy a boat ride to your lodge. The Okavango Delta is an unexpected wonder of nature as it sits within the dry sands of the Kalahari Desert, remaining dry for two thirds of the year and flooding with water during the winter season. To get to the Moremi Game Reserve, fly from Hong Kong International Airport to Maun International Airport via Cathay Pacific. The quickest flight is approximately 18 hours and 10 minutes with one stopover in Johannesburg. From Maun International Airport, you can arrange for a private charter plane via Mack Air to take you to the airstrip nearest to your lodge. At the airstrip, you will be greeted by the Xaranna staff who will transport you by road and by boat to the lodge. The location of the airstrips vary according to the seasons. Due to the unique natural environment of the Okavango Delta, some animals have adapted to the semi-aquatic lifestyle. Keep on the lookout for the southern lechwe antelope, native of Botswana as well as the sitatunga antelope, while hippos can be found residing in the deeper channels and lagoons of the delta. Whether you’re a seasoned fisherman or you’re just trying it for the first time, catch-and-release fishing excursions are the best way to get acquainted with the magnificent life teeming under the waters at the Okavango Delta. Notable fish species include the African pike and the sleek catfish. Lions, cheetah, African wild dogs, honey badgers and other land-loving creatures also populate the Okavango Delta, lest you forget that the delta is also part dry land. But more importantly, ostrich are unique to the area so catch of a glimpse of the world’s largest flightless birds. Be part of the natural environment and experience a safari from horseback with a riding safari. Tracking and game spotting will be completely different as you gallop across the plains. Set in the Grumeti Game Reserve, a private concession in the Serengeti National Park, the Singita Sasakwa Lodge effuses old world European charm mixed in with Eastern African influences. With nine private cottages stocked to the nines and an elegant private villa, the Singita Sasakwa Lodge will make your African safari stay unforgettable. Famous for the annual wildebeest and zebra migration, Serengeti National Park is Tanzania’s oldest park; man was believed to have roamed the land some 2 million years ago. The park is also believed to have the largest population of lions in Africa. Fly via Cathay Pacific from Hong Kong International Airport to Kilimanjaro International Airport with one stop in Doha International Airport. The entire trip will take you approximately 16 hours, depending on how long your layover is. From Kilimanjaro International Airport, you can arrange (or have your lodge do it for you!) for a charter plane via Coastal Aviation to the Singita Sasakwa airstrip. The flight is approximately 2 hour and 15 minutes. Once at the airstrip, you will be met by Singita staff who will transport you to the lodge which is located approximately ten minutes away. A trip to the national park is not complete without observing the stunning sight of the annual wildebeest migration. Witness the magnificent movement of more than 1.5 million wildebeests from the Serengeti plains to the Masai Mara National Park, accompanied by some 200, 000 zebras and gazelles. Home to almost 450 species of birds, the Grumeti Game Reserve is a prime birdwatching destination. Featuring a well-represented population of raptors such as the Bateleur Eagle and the African Fish Eagle, you’ll want to carry around your camera to document the varieties that make the Grumeti their home. Pay a visit to the Grumeti River in the Western corridor where the wildebeest congregate before their annual crossing. This is not for the faint hearted as there are a multitude of crocodiles waiting in the river to feast upon the crossing animals. With vast plains, a plethora of animals and of course, the migration, the best way to make the most out of this UNESCO World Heritage Site is on a game drive. Get your notebooks and check lists ready to record every sighting because you won’t want to forget a single thing! Designed by celebrated architect and artist, Anthony Russell, the Olarro Lodge is an eco-luxury hideaway with clean, earthy lines and a stunning view of the plains. Set in the Masai Mara National Reserve, this eight-lodge villa will take your breath away whether you’re looking for a romantic safari straight out of a movie or a private family getaway. The national reserve shares an ecosystem with the Serengeti National Park and is also home to the final leg of the annual wildebeest migration. The reserve is also home to the Maasai tribes who still practice and embody a traditional, nomadic way of life. To get to the Olarro Lodge, firstly, fly from Hong Kong International Airport to the Jomo Kenyatta International Airport in Nairobi via Cathay Pacific. The flight will take you approximately 18 hours with one stopover in either Hamad International Airport, O.R. Tambo International Airport or Dubai International Airport, depending on which flight you choose. At the Jomo Kenyatta International Airport, transfer to the Wilson Airport approximately 40 minutes away for a domestic flight to the Siana airstrip within the national reserve via Safarilink or Air Kenya. The flight is approximately 45 minutes long. At the airstrip, you will be met by the Olarro Lodge staff who will transport you to the lodge 1 hour and 30 minutes away. Other than in the Serengeti National Park, the annual migration of wildebeest can also be seen in the Masai Mara National Reserve, particularly when the animals make their way across the treacherous Mara River. Filled with crocodiles waiting to pounce on unsuspecting prey, watch these animals stop at nothing in their search for fresher, greener pastures. Not to be confused with the “Masai”, the Maasai are an indigenous ethnic group and semi-nomadic people who have settled in Kenya and are at risk of losing their traditional lifestyles to modernity. Spend a day learning about the Maasai culture and people by paying a visit to conservation centres and surrounding tribes to learn more about their unique lifestyle. Pop culture enthusiasts and film fans will delight in recreating the award-winning film, Out of Africa, starring Meryl Streep and Robert Redford, and visiting the filming locations. Arm yourself with a camera and script or just bask in the natural glory of the Kenyan plains. With such a rich landscape of people, animals and vegetation, a game drive is the most ideal way to see and experience as much as possible of this vibrant terrain. Some of the animals native to the area are the Masai giraffe, the bat-eared fox and large roan antelope as well as the Big 5 – lucky for you, game drives are part of the package! Malaria: The Okavango Delta, Grumeti Game Reserve and the Masai Mara National Reserve are malaria-risk areas while the Kruger National Park has a low malaria risk. As malaria represents a concern when travelling to these areas, do visit your GP for anti-malaria pills. Only the Madikwe Game Reserve is considered malaria-free. Despite this, we advise that you also visit your GP for anti-malaria pills to stay on the safe side. Other bugs: Along with anti-malaria pills, keep a steady stock of environmentally-friendly insect repellant to reduce the risk of being bitten by mosquitoes and others insects! Vaccinations: It is advised that you update your vaccinations before you travel as some of them may be needed for you to travel. For example, yellow fever vaccines are recommended when travelling to Kenya. Do pack light as most air transfers only allow 20kg of baggage on the plane. Neutral coloured clothing like khaki, brown and green are perfect for a safari, especially if you’re planning on doing a guided bush walk as you can blend right in with the environment. Avoid white and bright colours as these can attract the animals’ attention. Make sure that they’re lightweight and breathable as the afternoons can be hot! It is advisable to pack at least three t-shirts and three pairs of shorts. Layer up as it’ll make it easy to transition from windbreakers and jackets in the chilly mornings to short-sleeved shirts in the afternoon and back to your jackets for the cold nights. You should also pack some long-sleeved clothing and long pants. These have the added advantage of protecting against pesky mosquitoes. Plus, game drives are open-top and open-side. You’ll thank yourself for layering up when your guide picks up speed as he spots an animal in the distance. Bring a wide-brimmed hat to protect against the sun and some sunglasses as well. Of course, don’t forget to bring comfortable walking shoes! How long to stay: If you’re pressed for time, stay at least three nights to get the most out of your safari adventure. If you can afford to stay for a longer time, ten days is the optimum time frame for you to be able to see as much of the safari as you’d like without rushing. However, if you can extend your stay, do so as every day brings something new on a safari! Kruger & Madikwe: During the dry season from the month of May to September as the grass is shorter during the winter and spring months, making it easier to spot game. Okavango: Travel during the wet season from December to April when the water is highest and the channels are filled to experience a mokoro excursion and boating expeditions. Kid-Friendly: Molori Safari Lodge, andBeyond Xaranna Okavango Delta Camp, Singita Sasakwa Lodge and the Olarro Lodge welcomes kids of all ages and even have dedicated youth programmes to introduce the safari to young ones. On the other hand, Singita Lebombo Lodge welcomes children aged ten and older. Despite this, game drives and guided walks do have an age limit and this is subject to the discretion of your guide. Inclusions: Most safari stays include all meals and beverages, (alcoholic ones too! ), with some exclusions that vary according to your lodge. Daily game drives and bush walks are included for every night of stay – in short, all -inclusive! Featured image credited to i.pinimg.com via Pinterest, all other images credited to The Luxe Nomad or respective hotel websites. Armed with a desire to visit every beach in the world, Avery believes that adventure begins at the end of your comfort zone. When not travelling (and working at The Luxe Nomad), she lives by the three F’s and two B’s: family, fashion, food, books and beauty.